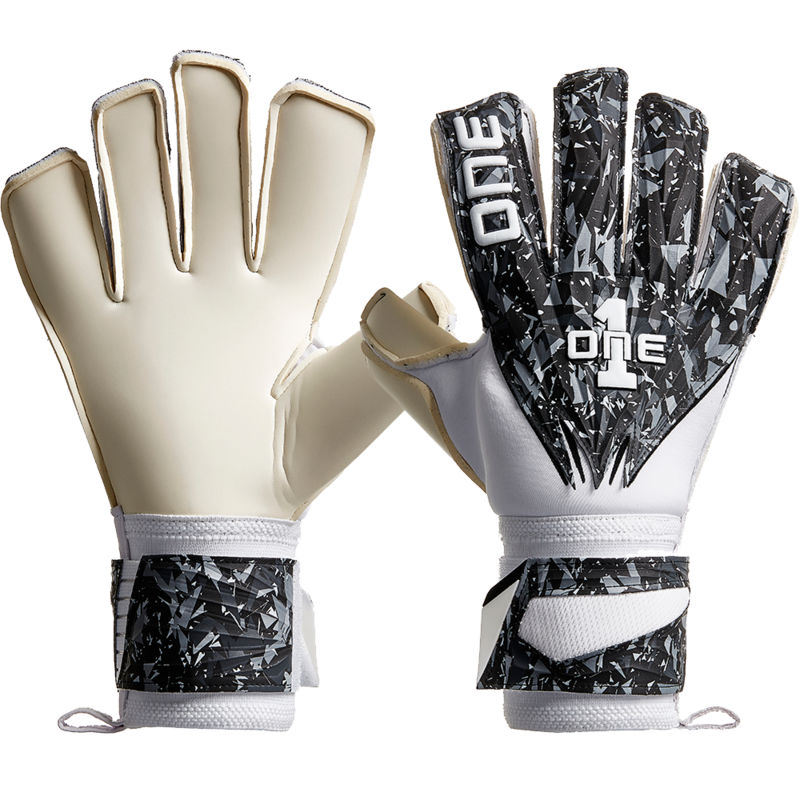 Yes, the One Glove GEO Blade features removable finger spines. 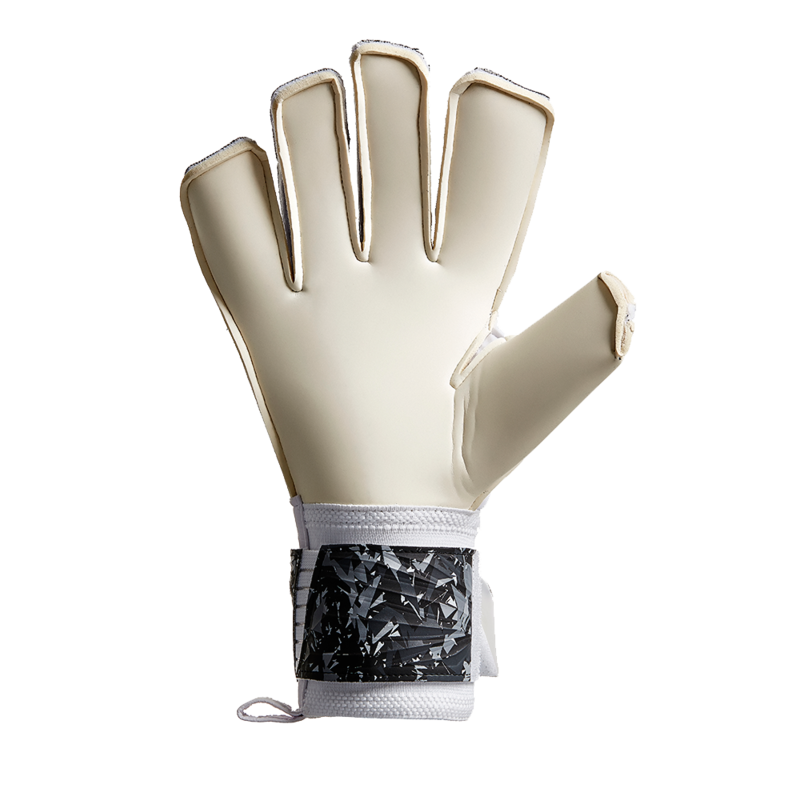 Stunning 3D embossing creates the most unique backhand to date with mesh body to allow for breathability. The GEO Blade showcases a unique "shatter camo" print on the backhand, which looks amazing! The "Total Flare" Hybrid Cut. A hybrid of roll and flat cuts. The middle and ring fingers feature a flat cut, whilst the pinky, index and double wrapped thumb all feature the popular roll finger cut. New "MidSplit" strap combines the comfort of latex straps, with additional adjustment for fans of elasticated stretch straps. A new rubber tab makes it even easier to adjust the fit. So far so good. 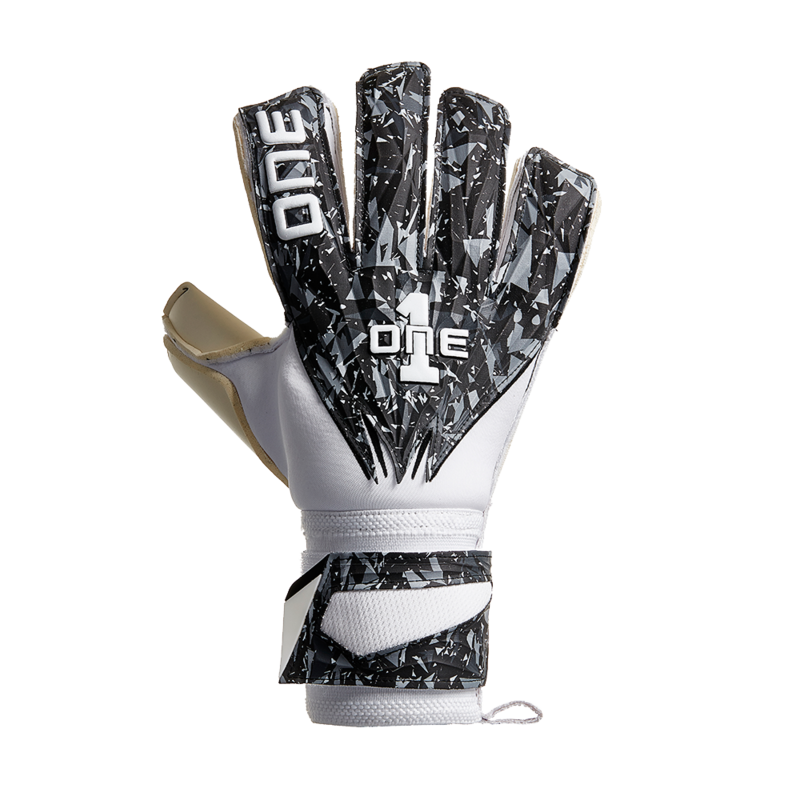 My 10 year old club keeper is using these for the upcoming fall season. He tried them out in a summer tournament and they held up very well. Because the palms are white, they do show all the dirt and grime, but that can actually be a good thing to remind you to wash them often to maximize their life. They showed no wear on the latex so far. If you're looking for a good, well-priced game glove then definitely consider these. The finger protection isn't too stiff, either. Glove: My son loves them. He says they are the best ones he's used, so we'll be ordering more in the future. Shipping: For the cost, I would have expected them to arrive 2nd day. Grandson loves these gloves. He's growing like crazy. This is our second pair. I am sure it is not his last.